The Burnside is a fully restored, mixed use building located in Chattanooga’s historic Southside at 2100 Rossville Avenue. Occupying the former home of the Andrews Paper Box Company—founded by Oliver Burnside Andrews in 1912—the Burnside draws on its industrial past, blending exposed brick and copious natural light, to offer a unique retail, office, or residential experience. 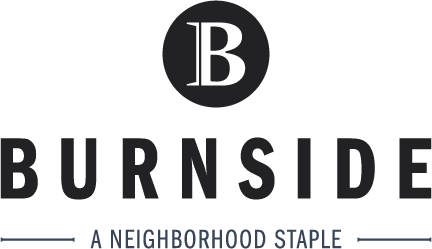 The Burnside offers 17 residential units alongside our retail and office offerings. Each unit features gorgeous exposed brick, large windows and with plenty of natural light, and high ceilings that harken back to the building’s industrial past. Designed to accommodate tenants from all walks of life, our units are thoughtfully and intentionally designed to provide memorable living experiences. Fill out our simple, online application. Schedule a showing with one of our leasing agents. Build out an office space that matches your company’s individual brand. Office spaces at the Burnside are ready to be customized to each company’s individual needs. Build on the industrial aesthetic of our historic building and take advantage of our other key tenants—including Renovaré Distillery—to make entertaining clients a breeze. Work just steps away from some of the best dining and entertainment Chattanooga has to offer. In the heart of Chattanooga's Southside district.